Still, that doesn’t mean that I haven’t acquired new books. But ever since buying a lot of books back in February, only three new books have been added to my shelves. First of these are Tolkien’s Silmarillion. When I still was reading a lot and was on track with my goals for the year and just enjoying myself, I was participating in The Official 2014 TBR Pile Challenge hosted by Adam at Roof Beam Reader. And I was so lucky to win a book of my own choice, thanks to Adam’s generosity. 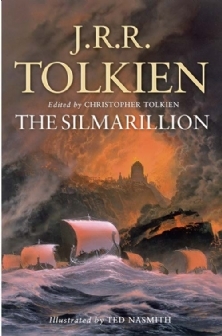 I had been planning to read The Hobbit, The Lord of the Rings and The Silmarillion this summer, and since I already owned the first two, I of course asked for The Silmarillion. I’m not sure if I ever properly thanked Adam – and now I see that he has stepped down from Roof Beam Reader due to work obligations so he will not be around much. Still, thank you so much Adam! Now I’m back from my hiatus, I’m looking forward to explore Middle Earth! The second new book I have acquired during these last 4 months, was a birthday present from my 3 years old daughter. Whenever she is asked what she want to give to someone, she always answers ‘a book’. I can count the number of times, she whispered to me ‘I’m giving you a book, mommy’. And so she did. Last year I read Félix J. Palma’s wonderful The Map of Time and it was just such a thrilling ride that I haven been looking forward to reading the second book ever since. And this was the book I was so lucky to receive for my birthday thanks to my little girl knowing exactly what her mommy wants – and her father helping her pick out the right book! And finally, the third book was a present from my best friend. Henrik has his own publishing company, H. Harksen Productions, where he publishes weird fiction, H.P. Lovecraft inspired fiction and similar themed books, both in English and Danish. One of his latest publication is this Killer Killer by Danish author Morten Ellemose. This is supposed to be following in the tradition from the Hannibal Lecter books and I’m pretty sure it’s going to be a very scary read. Maybe I should try to get around to reading it while it’s still summer and the nights are still light. I don’t do scary very well, I’m afraid. So. My last post was three months ago. In those three months, I haven’t read a single book. I have tried to read one but in three months, I have been reading the same book. Or rather, I have had the same book lying on my night table next to me and then I have been ignoring it for three months. I managed 214 pages of it and then … nothing more. And the strange thing is, that I didn’t dislike it. I liked it. I liked it when I was reading it. But I forgot about it when not reading it and if you ask me now, I wouldn’t be able to tell you precisely what it was about. That may be because it was a 800+ pages book and I haven’t reached the part where it all comes together and starts making sense – it might also be because this is not a book for me. Because I want to like this book. I want to like this author. The book I’m talking about, the book that has completely destroyed me and made a deserted wasteland of this blog, is Don DeLillo’s magnum opus Underworld. And there are parts of it I really, really like. I have written down quotes and impressions and they are all positive and things I enjoyed. But not enough to keep reading apparently. And then I stopped reading for the first time in 7 years. When I have read other bloggers write about reading slumps and how to defeat them, I have to admit I have felt a bit superior. A reading slump couldn’t positively happen to me, I thought. I love reading too much, I thought. Reading slumps are for others who just don’t care about books the way I do, I snickered. Watch me cover in shame! Reading slumps can happen to everybody, I know now. I should have known earlier, of course, since when I started using Goodreads back in ’07, I was just coming out of a slump caused by too much studying. This was a time when I felt guilty whenever I read something that wasn’t related directly to my master’s thesis. From this slump, I have learned two things. The first one is also going to sound arrogant, just like my idea that I was immune against reading slumps. A non-reader is just a person who hasn’t met the right book yet. I’m back to reading and I’m just loving it. I’m completely engulfed in this book and am enjoying myself so so much. The second thing I’ve learned is, that my way back to reading, is fantasy literature. Last thing, I used DragonLance novels mostly and loved it. This time I’m reading urban fantasy – the Jim Dresden novels. I read the first two last year – and I almost finished the third one last night but the World Cup kind of distracted me. So February has been a frustrating month. It seems I just couldn’t find time to read all that much. 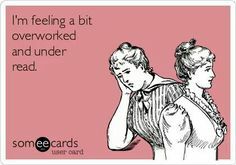 I have been working a lot all month and have just been too tired. In January, I read whenever I could find time and read through 6 books and lots of pages. This month I have unfortunately prioritized watching sucky tv more. I think it is sometimes easier to just vegetate in front of the tv when you are overworked and stressed out instead of picking up a book even though you know that in the end, you will enjoy the book more. But still, I did read 5 books this month and I have still read some amazing good books this month. The first one was Erin Morgenstern’s The Night Circus which I had postponed reading but absolutely loved when I finally got around to it. The setting in this book was breathtaking and so lovely and I was just blown away by it. An entire black and white circus suddenly appearing out of nowhere and just spellbinding it’s audience. I also really liked the story in this book and the characters and I am really looking forward to Erin Morgenstern’s next novel. 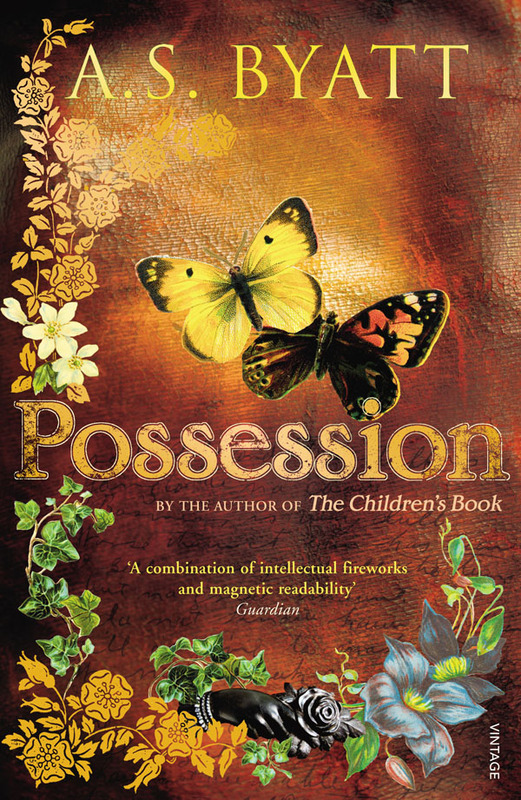 My other favorite novel this month was A.S. Byatt’s Possession. I watched her give a lecture back in 2005 and I was so impressed by her. So impressed that I actually got scared. She is just so clever and knowledgable and I have been really scared that I wasn’t able to get her books. But then I read her The Children’s Book a while ago and really liked it and I watched the movie version of Possession and decided to put the book on my list of reading goals for this year. And then I actually read it. And loved it. It’s a wonderful intelligent book and a beautiful love story. I was so engrossed by the romance of Christabel LaMotte and Randolph Ash. Talk about star-crossed lovers! Add to this that it is a literary mystery with beautiful writing. This is going to be one of my favorite novels of the year – and I can’t wait to reread it. 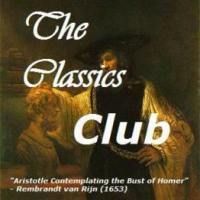 I think it will be one of my favorite novels of all time. It is so intelligent that it can stand to be reread over and over. It seems that I should learn from this experience not to postpone novels that I really want to read because I’m scared of not being able to get them or scared they are not able to live up to my expectations. I should just read whatever I want when I want it. I might have to work a bit on this before I accomplish doing so! 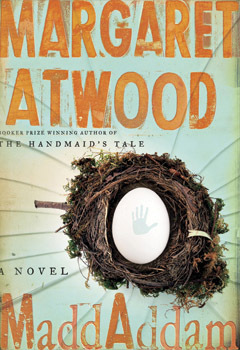 I also began the MaddAddam trilogy by Margaret Atwood. 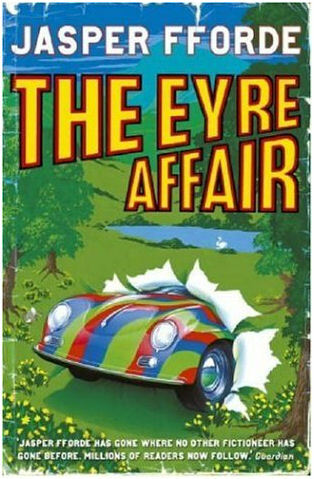 I will not say too much about this novel or this series here before I’ve read the entire trilogy but I will say that Oryx & Crake is quite an accomplishment and the more I think about it, the more impressed I am. I am reading the second part of this trilogy right now, The Year of the Flood, and I’m just getting more and more impressed. This is clever writing! Last year I read about 50 pages a day. This year, I wanted to do better. My goal was 100 pages a day. Sadly, February has been the month where it dropped. 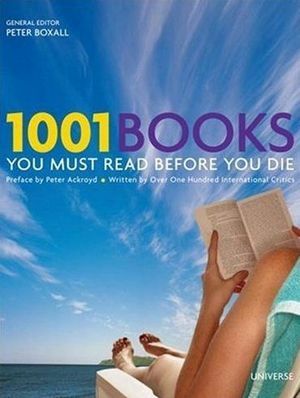 Not only below 100 but actually below 90 (although I ended the month just above 90 pages a day). I know it’s silly getting caught up in numbers and that the important thing is the reading experience. I know I should care more about reading amazing books and taking the time to really enjoy them than care about the amount of books I read. Still, I can’t help it. I want to read many books and therefore I want to read a lot of pages each day. And I just haven’t read all that many pages in February and it depresses me like hell, especially since I could have read so much more if I had just kept on prioritizing reading above other relaxing pastimes. I’m actually a bit amused that I feel this way because five books in a month is excellent given my current schedule. I think I will have to think quite a bit about whether this focusing on pages a day is actually benefitting me or rather stressing me out. Five books is good – especially since these weren’t short books and they were really good books. When I saw this one on Facebook last night, I just thought ‘yes, that is exactly how I feel’. I really need to stop watching Masterchef Australia and start reading instead! Luckily I didn’t sign up for any challenge to not buy books this year. Because I just went crazy in my favorite Danish bookstore and well, I bought about a billion books. The thing I did right – or wrong, depending on your point of view – was to make a list of books I wanted. This was in part compiled of the list I made of the books I missed in 2013. And well, armed with a list and then exposed to all the other amazing books in the store, I just went nuts and assembled to huge piles – which my boyfriend didn’t even want to help me carry, because he thought he thought I had to experience the consequences of buying giant piles of books. He caved later – I’m sure I won’t. So here are all the amazingness I bought. Who said you couldn’t buy happiness? Joyce Carol Oates: Carthage. So Joyce Carol Oates is one of my favorite authors and I sometimes forget why exactly but when I then pick up one of her books, I’m just blown away by her writing skills. She is just an amazing writer and this book about a girl who goes missing, possibly because of a disabled Iraqi veteran, sounds amazing. 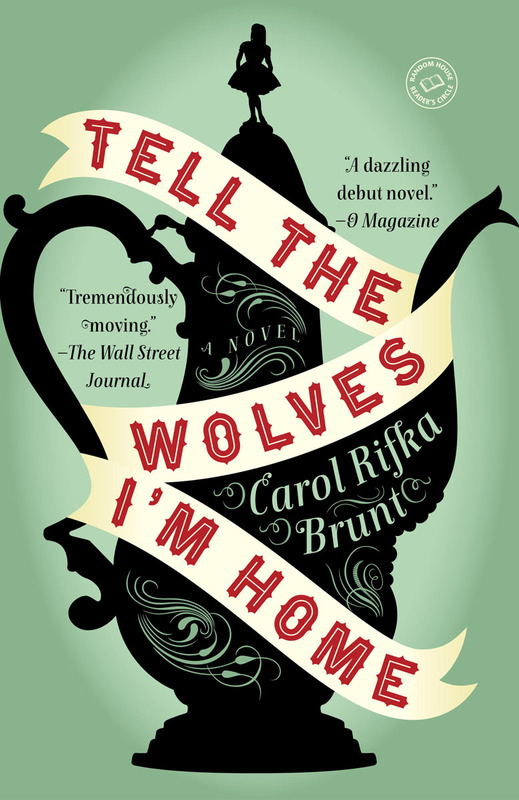 Carol Rifka Brunt: Tell the Wolves I’m Home. This book just sounds amazing. It takes place in the 80s and deals with AIDS and homosexuality in a time, when these things weren’t well-known parts of everyday life. June looses her uncle to this illness, she knows nothing about and doesn’t quite understand and then suddenly she notices a strange man attending her uncle’s funeral and a bit later he tries to get in touch with her. I’ve only heard good things about this and I want to read this one soon. 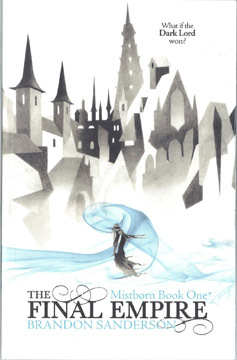 Brandon Sanderson: The Final Empire (Mistborn Book One). I first heard of Brandon Sanderson when he was chosen to finish the Wheel of Time series after Robert Jordan died. He seems to be a really great fantasy writer and the Mistborn series is seemingly universally loved so I can’t wait to read it. Still, I only bought the first volume because I wanted to check it out for myself before committing to the whole thing. 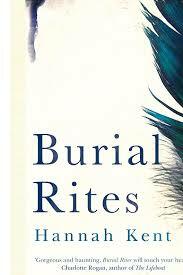 Hannah Kent: Burial Rites. This one has been making it’s way all over the blogging world. Everyone has read it, it seems. And no wonder, it sounds amazing. Hannah Kent went to Iceland as a teenager and heard the story of the last woman executed in Iceland and that inspired her to write this book. It reminds me of Alias Grace and everybody seem to love it so I am really looking forward to it. 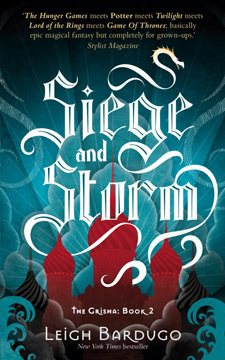 Leigh Bardugo: Siege and Storm (The Grisha book 2). I loved the first book in this series. It was a great thrilling ride and I can’t wait to find out what happens to Alina and Mal when the Darkling catches up with them – as I’m sure he will.This is pure fantasy brain candy and I’m looking forward to diving into this second book. 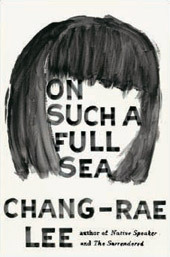 Chang-Rae Lee: On Such a Full Sea. I heard an interview with Chang-Rae Lee where he said he wanted to write a book about Chinese factory workers and did all the research and somehow ended up writing a dystopian fantasy novel instead. 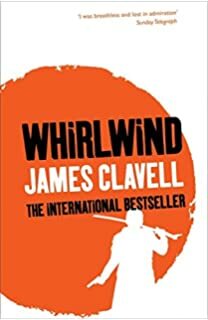 I have read several books about China and taking place in China and I so want to read this book. 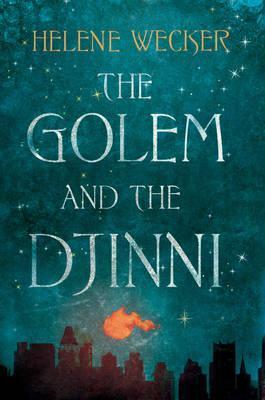 Helene Wecker: The Golem and the Djinni. I first heard about this on the New York Times Books podcast and it sounds like a wonderful combination of fantastic elements, mythology, love and great storytelling. I’ve been fascinating by Golems ever since we were in Prague and heard about them so this one is another book I’m looking forward to. 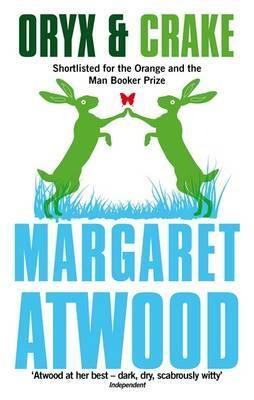 Margaret Atwood: Oryx & Crake, The Year of the Flood and MaddAddam. 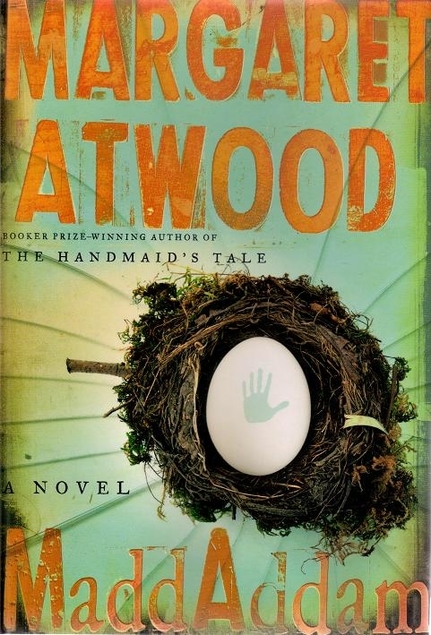 So I’ve read Alias Grace and The Handmaid’s Tale by Atwood but nothing else and really want to read more because she write great and very interesting books so I’ve been wanting to read this series ever since it started coming out but kept myself waiting until the entire trilogy was out. And I’m really looking forward to find out who Snowman, Oryx and Crake are. 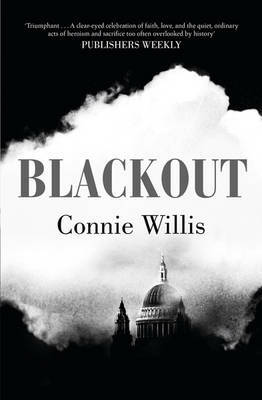 Connie Willis: Blackout and All Clear. 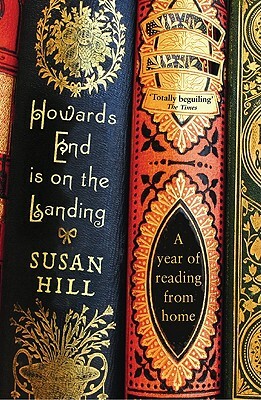 Historical fiction, time traveling – it seems to be rather popular to combine these two. Just think of the Outlander series and Kindred by Octavia Butler. It’s about a time travel lab in 2060 who goes bad to WWII and it sounds amazing and so many people have recommended it to me so another one I’m really looking forward to. Salman Rushdie: Haroun and Luka. I really like Salman Rushdie and I loved reading his autobiography of the years of the Fatwa, Joseph Anton. 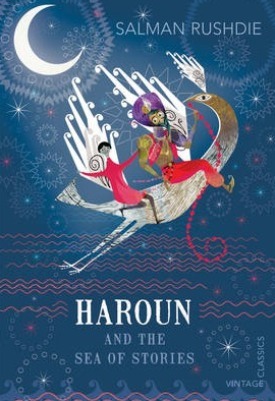 And what he wrote about especially Haroun and the Sea of Stories made me really want to read it. Especially since he wrote the book to his son. So it’s supposedly an easier book than most of Rushdie’s books and it sounds imaginative and wonderful. And as a bonus, when you turn the book over, you get Luka and the Fire of Life so two books in one. So yeah, these were the only books I bought. Yeah. I’m not sure I’m exactly proud of myself but I’m very much excited about all of these. Such good books. And I’m actually already almost done with the first of these – Joyce Carol Oates’ Carthage. Loving it. Hopefully all the rest of these are as good – and I’m pretty sure that at least a bunch of them are. So happy reading to me! So here we are again. January is over even though it feels like it has just begun. I read somewhere that as we grow older, it feels like the days go by faster because we notice fewer things each day because we have already experienced most of the day to day things and as long as nothing stands out, it all just flows by us. January has been one of those months that has just gone by without too much fuss. It has been the darkest month in more than 40 years in Denmark and so has been a tough month to get through – but even though it felt like we would never get through it, suddenly it is just all over. For some reason January always feels like a good reading month for me. I think it’s because it feels wide open and full of possibilities and opportunities. I still have all year to complete my reading goals so I can read whatever I want. Still, it feels important which book is the first in the year and this year has definitely come off to a good start. 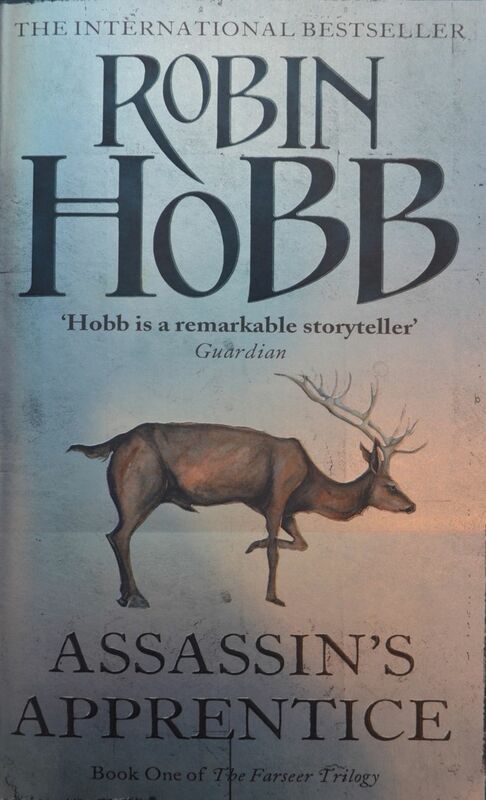 I started off with The Farseer Trilogy by Robin Hobb which was really good and which is responsible for introducing me to what will probably become a new favorite (fantasy) author. Fitz and the Fool and all the rest of her wonderful cast of characters will definitely stay with me and I can’t wait to not only go back into their world again but also meet up with them again. I still have to post the review of the last book in the series but I will – and soon. In addition to this trilogy, I read three other books this month. Two novels and a non-fiction. I really liked Kate Atkinson’s Life after Life. It seemed like a book that started as a writing exercise but where the author discovered that this exercise could be so much more than just an exercise and turned it into a really fascinating novel about determinism and how to live life right. 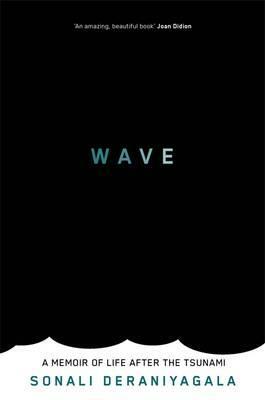 Equally good but in quite a different way was Sonali Deraniyagala’s book Wave about her loss of her entire family to the 2005 tsunami. It was a heartbreaking book and her grief was palpable on every page. It was a difficult book to read but it was beautiful at the same time as it seemed that she used the book to keep her family alive. Monica Ali’s untold story on the other hand didn’t quite work for me – in part because her portrayal of Princess Diana didn’t feel true to me. So I ended up with having read six books this month and more than 3000 pages so I’m glad that I have been able to commit the time to these great books. Here’s a list of the books I did read this month and with links to the four reviews I got around to writing. Notice something special about this list? Yeah, it’s all women writers. And not because of the #readwomen2014 because I only just read about that the other day. I decided to start the year with Robin Hobb’s fantasy series not because she’s a woman but because I was looking forward to reading it. While reading it, I read an article about a women who had read only women writers for an entire year and had concluded that it wasn’t enough to just read women writers but you had to choose good and different female authors too for it to really count. And I thought to myself that it could be fun to do a month of reading female authors only and so far, I’m enjoying myself a lot. So much so that I’m continuing this way of reading and that I’m going to write a blog post about reading only female authors. So yay me for jumping on a band wagon I didn’t know existed… Funny how so often when you feel like you’re just a tiny bit original, everyone is doing the same thing. So I lasted all of 18 days before I just had to buy some new books. I had decided that I wanted to wait and not buy any books until we got to Copenhagen at the end of this month, but well, that didn’t happen. And I’m still buying books in Copenhagen! I’ve planned to reread Lord of the Rings this year and since I only owned a translation of The Hobbit, I had to buy this one. Especially since it wasn’t a movie tie-in version. I’ve watched the first of the Hobbit movies and I was not impressed, let’s put it that way. Which is another reason I want to reread this book because I only have a narrow recollection of if from back years ago, when my mother read it to me. 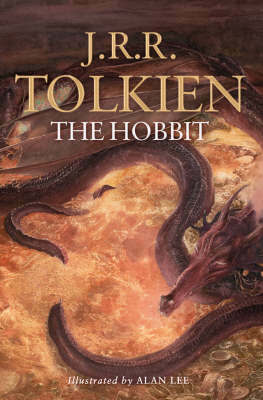 I bought a paperback edition, beautifully illustrated by Alan Lee, and I’m looking forward to reading first The Hobbit and then Lord of the Rings right after for the first time in my life. My other new acquisition, yes I did limit myself to two, is NOS4R2 by Joe Hill. I’ve been wanting this since it was published last year because it sounds really good. 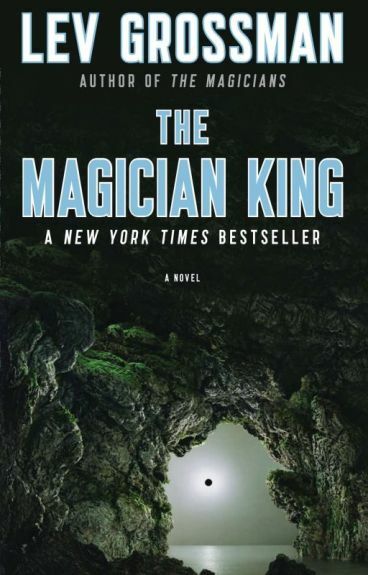 And ever since I read that Stephen King said that Joe Hill could easily finish King’s book if King died because Hill writes in a way close to King’s writing – but has a better fantasy. I love Stephen King and he is rather imaginative and inventive so if he thinks Hill has more imagination, I’m game! So I’m looking very much forward to both these books and hope to actually get around to reading them this year. I hope they will not suffer the tsundoku faith – a wonderful Japanese word meaning ‘the act of leaving a book unread after buying it, typically piled up together with other such unread books’. So while my books are not piled up, but placed nicely in alphabetical order on the shelves, the rest of that word fits extremely well. I have around 200 books which I have bought but not read. I’m trying to get that number down, but not succeeding. Still, I hope to get to these two sometime this year and if not, I like having a fancy word to describe what I’m doing so thanks to Vishy for teaching me this word! Today I’m celebrating. 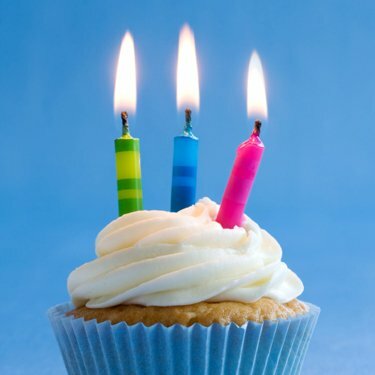 Today The Literary Bunny celebrates it’s three years birthday, three years of existence. And I’m rather proud of that. Mostly because I like this blog, my little place on the internet, and I like it quite a bit. I like writing about books, both for myself but also because it gives me the opportunity to talk with others about the books I read and sometimes get other perspectives on the books. There’s no doubt that this whole blogging universe is amazing and inspiring. There’s no doubt either that if I stayed away from the blogging world, my wish list wasn’t so completely out of control. But where’s the fun in that?! I like being a part of this blogging community even though I don’t always participate as much as I would like. But I read a lot of blogs even though I don’t always get around to commenting and I love keeping up to date this way. I don’t plan on changing a lot on the blog in the next year. It’s slowly and steady growing and I like that. Of course I wouldn’t mind being Freshly Pressed again here at WordPress because the one time that happened, it was a mad and wonderful ride but I also like this more quiet form of existence with slowly more and more people following, more people to talk books with. The only change I am planning right now, is that I want to start participating in Wordless Wednesday. I want to make this blog become more true to it’s name so each Wednesday, I hope to share a picture of one or more of the bunnies – and then we’ll talk books the rest of the time! There’s no doubt that books are my passion and if I could go back and change something, I would have studied literature at university. 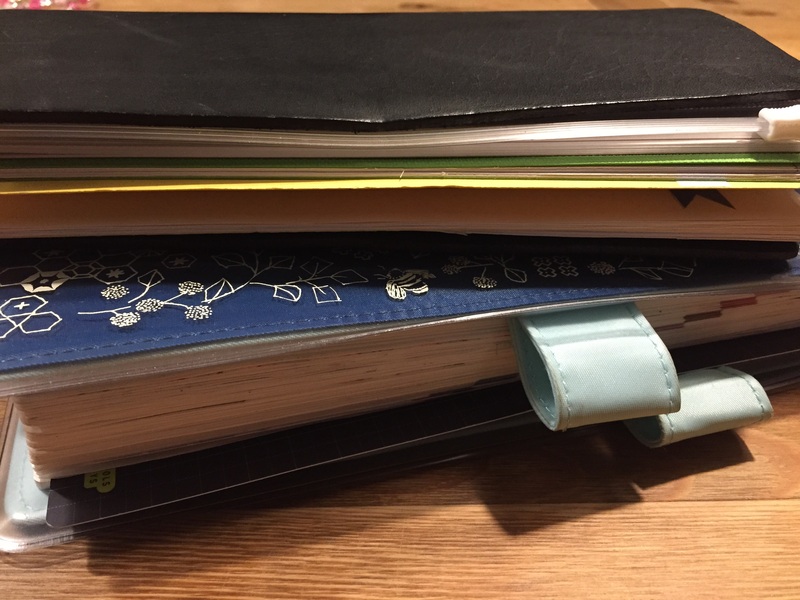 But it is probably for the best that I didn’t so that books can stay a hobby – but I do hope to study it some day although just for my own enjoyment. I want to thank all you wonderful people out there who keeps coming back, who keeps signing up and who keeps commenting. You are a huge part of the reason why The Literary Bunny is still alive, jumping around and wagging it’s long ears.